As pointed out at the beginning of the previous review, Positive Wave and Tuvalu share quite a few features: they are both based in Helsinki, have female vocalists, and sing in Finnish rather than the ubiquitous English. Here, however, the similarities end, because Positive Wave is definitely a different beast. There is nothing whatsoever that might remind the listener of Tuvalu’s brooding intensity on Positive Wave’s debut album, but rather a triumph of upbeat rhythms, joyful vocal performances and plenty of melody, with liberal sprinklings of folk and jazz influences that bring to mind other eclectic Finnish outfits like Piirpauke and Värttinä. Though they have been around, in different incarnations, since 1998, this album is Positive Wave’s recording debut, released in 2010 when the band – always very active on the live front in their native country – finally found a stable line-up. Now a seven-piece, besides the more traditional rock instrumentation they also include saxophone and violin, like a mini-orchestra. As is the case of most Finnish bands, the collective musicianship is excellent, but the band’s real strength is undoubtedly Susan Karttunen’s stunning voice. While resembling Tuvalu’s Annina Antinranta’s in pitch and tone, Susan’s singing approach is quite different, and fits the band’s musical direction like a glove. When I first heard Positive Wave, I superficially thought they sounded like an above-average pop band rather than a prog one. Although subsequent listens changed my opinion of the album, there is no denying that it is indeed very much a song-oriented effort. The songs, on the other hand, in some ways differ from the standard format. Some of them are downright infectious, and the overall mood of the album – reflecting the band’s name – is upbeat and uplifting, debunking the all too common myth of the morose Finns. With a beautiful yet simple cover that hints at the love of nature that is deeply rooted in the Finnish psyche (also referenced in many of the song titles), the album comes across as a celebration of life – and one of the songs is in fact called “Elämä”, which in Finnish means “life”. In spite of the catchy, song-oriented nature of the album, those features so highly prized by progressive rock fans lurk in the instrumental parts, while Susan Karttunen’s vocals blend jazz, pop, folk and even soul stylings in a heady mixture that cannot fail to captivate lovers of great singing. The unmistakable sound of vintage keyboards interacting with fluid, melodic electric guitar bring to mind Canterbury bands, especially Caravan (as my friend Torodd Fuglesteg pointed out in his review of the album), and the addition of sax and violin enriches the sound and enhances the jazzy nature of some of the arrangements. There are no lengthy numbers of staggering complexity: the individual members’ skills are conveyed in a subtle, tasteful fashion, best exemplified by the twists and turns of the longest track, “Huominen Ei Lopu Koskaan” (Tomorrow Never Ends), a jazzy offering chock full of great keyboard and sax passages, brisk percussion, muted guitar, and, of course, excellent vocals. While Opener “Helmi” (Pearl) leans more towards the folksy side of things, with jangling, Celtic-tinged guitar, “Valkoinen Huone” (White Room) is an elegant number with echoes of Steely Dan’s classy style, especially in the opening section, and “Siniset Laineet” (Blue Waves) brings back comparisons with Caravan’s unique mix of accessibility and progressive sensibilities. As can be expected, not all of the 11 tracks are equally successful, and towards the end the album tends to drag a bit, especially as the material becomes more subdued and even slightly monotonous. Closing number “Viimeistä Iltaa” (Last Evening), however, though uncharacteristically subdued and melancholy, is in my view a good choice to wrap up the album, and the combination of violin and Susan’s delicate vocals sounds especially poignant. 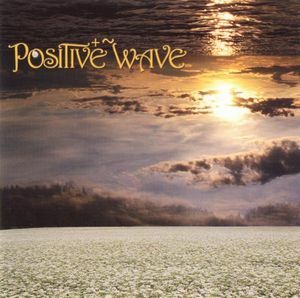 Though not perfect, and a tad naïve at times, Positive Wave is a very interesting proposition for those who enjoy song-based prog as well as its more complex manifestations. While there is clearly some filler material, and – while not long for today’s standards – the album might have benefited from some trimming, the strengths of the band come across quite clearly, and their obvious enthusiasm and positive attitude (pardon the pun) bodes very well for the future. An intriguing find, and a must for fans of female vocals. I’ll be checking them out, thanks.